*Area, Population and Density rankings refer to Charlotte’s relative position among Vermont’s 255 civic entities (9 cities, 242 towns, 4 gores and grants). Complete rankings are here. 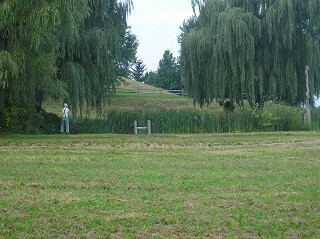 Charlotte is approximately ten miles south of Burlington, on the shores of Lake Champlain. One of the oldest still functioning ferry crossings in America is here, with service to Essex, New York. Within the Town are the villages of Charlotte and East Charlotte and the (mostly) summer colony of Thompson’s Point. In typical Wentworth style, the town (originally “Charlotta”) is named for Charlotte Sophia of Mecklenburg-Strelitz, the 17-year-old niece of Germany’s Duke Frederick of Mecklenburg. She became George’s wife shortly after he succeeded to the throne in 1760. The wedding was the social event of the era, with Royal Governors falling over themselves to honor the new queen. 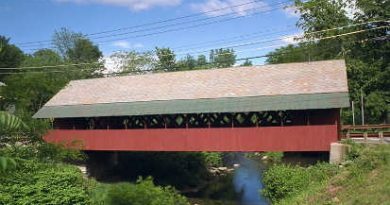 New York’s Colden, for example, still thinking he had the right to do so, patented a Charlotte in the area now occupied by Chelsea, Vermont, and another as Mecklenbergh, in what is present-day Ferrisburgh, Vermont. He even declared a Charlotte County in 1772. The town has had a relatively large number of post offices in its time. The original Charlotte office was closed in 1875 after 74 years, and East Charlotte and West Charlotte were opened. In 1879, West Charlotte was closed and immediately replaced in the very same location: Postal authorities arbitrarily decided to call this “new” office simply Charlotte. This in turn led to the “West” being gradually dropped from the village’s name over the years. Thompson’s Point and Cedar Beach at one time or another also had their own postal facilities. In the last quarter of the 19th century, a group of wealthy Burlingtonians calling themselves “The Jolly Club” had developed Cedar Beach as a summer residence area; they even laid on regular ferry service to Burlington so they could commute to work. (weekends, seasonal) Route 7, next to Wildflower Farm. 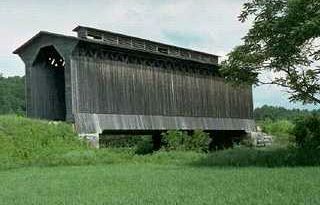 Click Here for a map of all bridges in Chittenden County.